Hi there lovely dumplings, I am back! 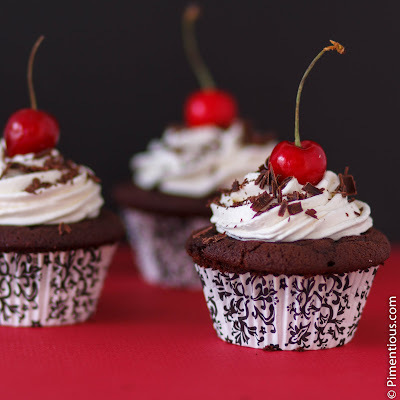 Today I am making the legendary Black Forest cake in cupcake size (less trouble and it looks cute). Every birthday and celebration in my family were not the same without a piece of Black Forest cake. I am pretty sure before the age of 20, if you'd ask me what is cake/torte, I would say it's Black Forest, because that was as much as I know about cake and pastry. What happened when I was 22, you ask? Well, that's when I started go to cafés and drown myself into the sweet and addicting world of pastries. Black Forest or Schwarzwalder Kirschtorte is a German dessert consist of layers of chocolate sponge cake, cream, and kirsch-infused cherries. It is considered a cake for adults due to the alcohol in the kirsch. I am using Griottines kirsch-indused cherries in this recipe but you can omit this part and use fresh cherries (or even canned) instead to make the cake more children friendly. Set aside to cool completely before decorating. 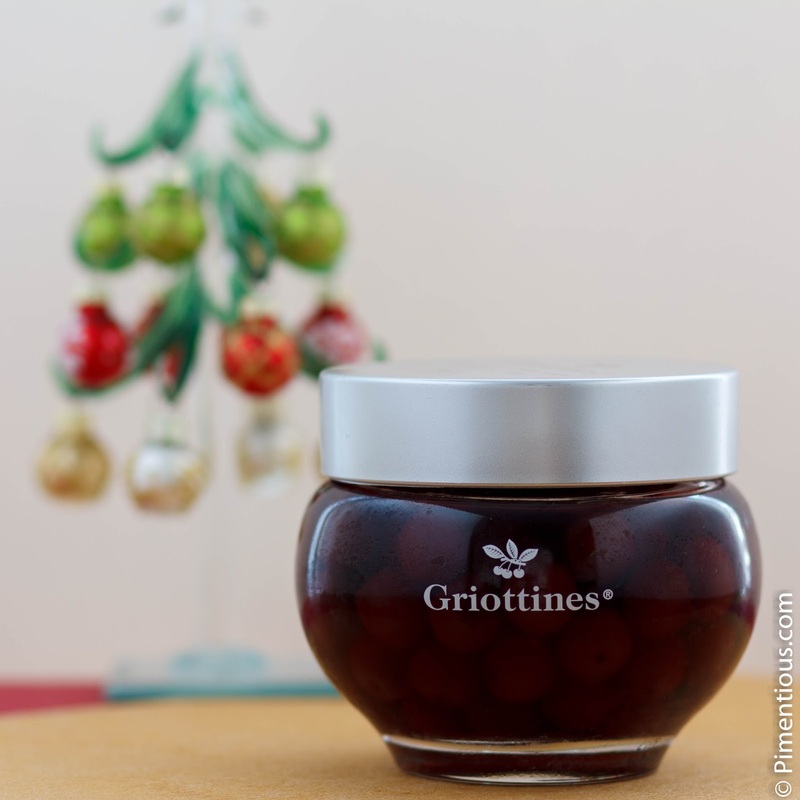 Favorite snack of all time; morello cherries in kirsch. Add sugar and turn the mixing power to high and let it run for awhile until the texture of the frosting turns white, light and fluffy. 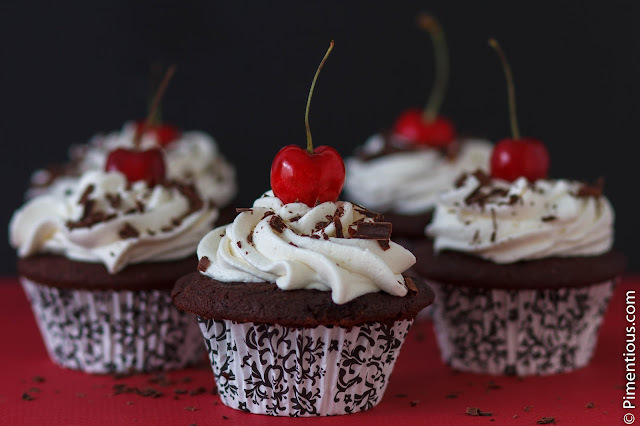 Sprinkle with shaved dark chocolate and sit a fresh cherry on top of your cupcake. Et voila! Enjoy this pretty treat to brighten your first week of 2017. PS: I personally think the frosting is a bit too sweet and would rather go with whipped cream instead.